Dear Pastor Bryan this is a very timely post and I wondered if you have reposted from an earlier time as the comments date back some time. You must be thinking it is necessary again and I believe it is… I have posted here on your blog before, both under my name and anonymously to describe the pain I experience moment by moment….hour by hour and day by day… week by week and month by month…year after year..
My heart and prayers go out to anybody struggling with suicidal thoughts. I have been dealing with it all my life and also lost my younger brother to suicide ten years ago. It is a very real and difficult thing to deal with, but God’s grace is sufficient even for that. I pray that anyone struggling would find the help they need in the world and find relief in Christ and His Holy Spirit. Thanks Pastor Bryan, for all your dedication during this year. Your blog always brings me hope as I strive to understand and bring hope to my teen daughter who is bipolar. 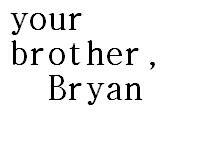 Please pray for me, Bryan. A friend took his own life either last night or early today. It is so sad. I will, dear one. Count on it. thanks for this – not something that gets talked about often, despite the people going through it, desperately needing to. And thank you for the reminder that recovery takes patience – days of it, months of it, years of it – it’s so easy to get frustrated – but it gets easier. With God, it’s easier. Thank you, Bryan, for sharing this. It was a bit harrowing, as the post developed. I guess I was on thin ice through this one. Thank you Pastor B, for describing it so well and also for the hope of Jesus working on our and our loved ones behalf. Before knowing Him, this was me and I tried twice to end my life. The pull was very strong. Praising Him that His pull is even stronger! And we can’t forget that, His presence is stronger then my despair. A tuna fish sandwich has worked wonders for me. Keep keeping the faith, Brother. But I prefer a tuna melt, myself. Hey, miss you but am glad your busy. I miss you, too, my beloved Brother. The training is going fairly well so far; I just have to get past the paperwork and the red tape (if I can). Hang in there, Brother. You are always in my thoughts and my heart prays for you constantly.